A BRITISH expatriate who was involved in an air collision between an ultralight plane and a helicopter this weekend has died from his injuries. The Euro Weekly News reported on Sunday that the pilot of an ultra light aircraft was seriously injured in a collision with a helicopter, who has now been confirmed to be 65-year-old Donald Milne. 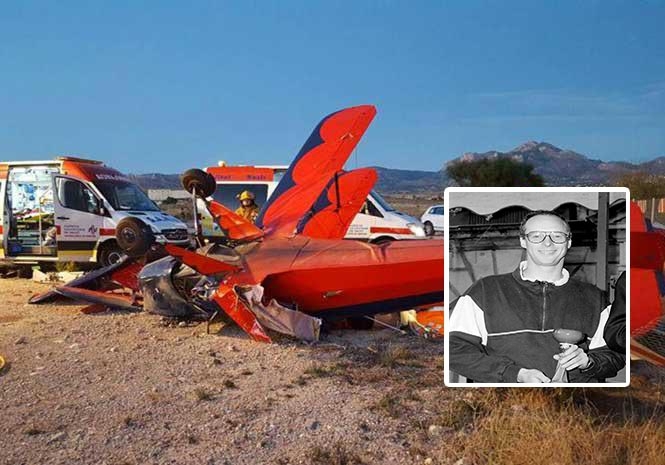 The incident occurred on Sunday, when a Generalitat helicopter, which was coming into land in Alicante, reportedly clipped the tail rotor of the Mr Milne’s ultralight plane. Mr Milne was rushed to the hospital after the incident but later died of his injuries. The popular Scot was a former rally champ, winning the Scottish Rally Championship in 1992 and also mentored to legendary rally driver Colin McRae. The father-of-two had lived in Spain for the past 20 years and was a keen flyer. Tributes have poured in for the former Scottish rally champ after news of his death. Motoring journalist, John Fife, wrote a heartfelt message on his Facebook page.